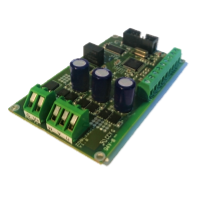 The challenge with this project was to create a cost effective, compact controller that could be incorporated into a battery powered dentistry application. Initial testing was carried out using the ZDBL20DC brushless DC motor controller but the customer required a lower cost and simpler solution in order to meet the commercial requirements of their project. It was therefore decided to go ahead with a new design in order to deliver what the customer required at the right price. Perhaps the most pressing aspect of this particular project was the time pressure we were under from the customer to deliver the motor control solution. Owing to a pre-existing commerical agreement, the customer in question required the first prototype in 4 weeks from starting the project. As a result of our considerable experience in designing motor control technologies we were able to leverage our extensive database of pre-existing designs in order to get the proof of concept developed rapidly. Following these we were able to deliver a small pre-production batch in 2 weeks, enabling the customer to quickly test the units in their final application. This particular design project was almost certainly one of the fastest we have ever worked on. The time pressure on the customer, as well as their drive to get the final product delivered, ensured that the project was delivered in record time. From our perspective it was our previous experience and database of pre-existing designs which ultimately proved critical in enabling us to deliver a reliable and proven controller in this timescale. Final thoughts: we hope every project isn't required to go this fast! This was a very fast project indeed. Despite this time pressure, the controller has proven itself to be reliable, flexible and to meet all of the key requirements set out by the customer.